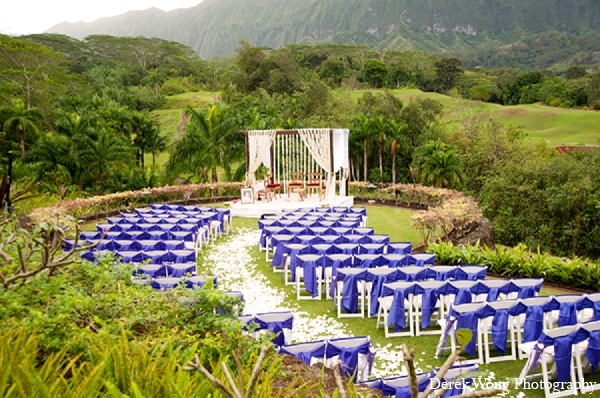 We continue on at this heavenly Hawaiian escape and the day has come for this bride and groom to jump the broom! 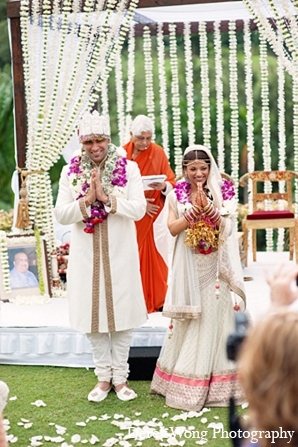 I seriously can't get over how amazing this Maharani's white and gold lengha is! 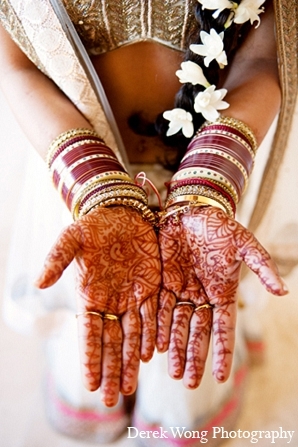 Simply divine! 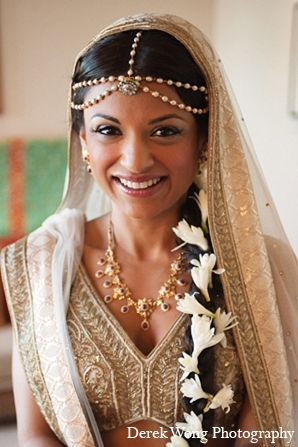 From the sheer dupatta to the soft pink peekaboo trim, this just might be one of my favorite bridal looks! Doting bridesmaids gather for a quick champagne toast with the bride and then they're off! Let me just tell you, this venue is unreal! 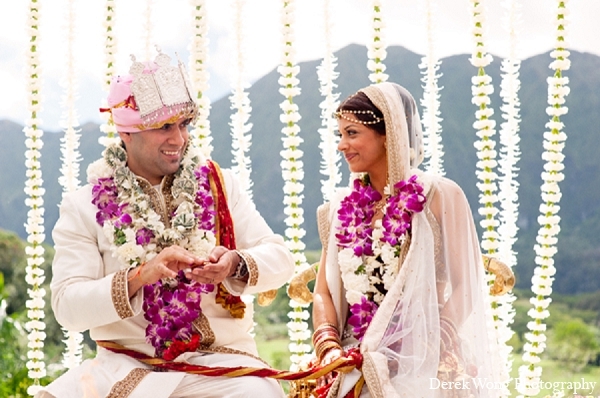 This traditional Hindu ceremony against the lush Koolau mountains completely take my breath away! Seriously, I might need my inhaler! As these two lovebirds become MR. & MRS., IMF Visions and Derek Wong Photography have been sure to capture these magical moments full of merriment. I'm heading over to the gallery because I just can't get enough of this whimsical white wedding! See you there, Maharanis! Up next, take a sneak peak of the beach side reception decor as these newlyweds have a quick portrait session! IMF Visions is a member of the Platinum Guide. Love what you see? Explore their portfolios.